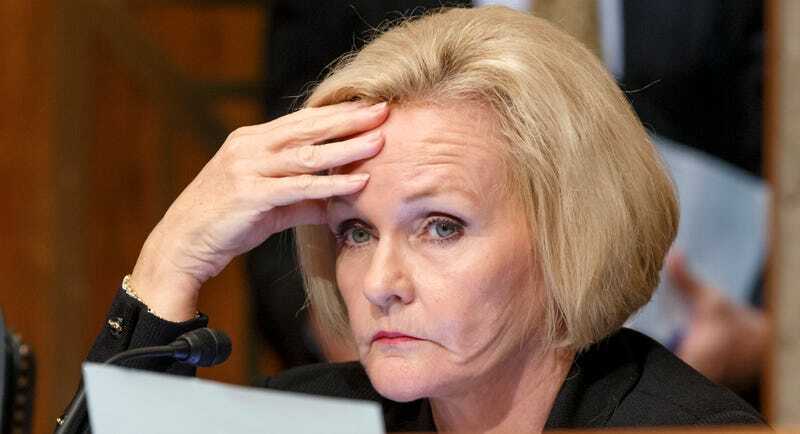 McCaskill’s tweets are stupid on a couple of levels. If Jahlil Okafor had wanted to play for Wisconsin, Bo Ryan would have welcomed him with open arms. Wisconsin didn’t decide to eschew recruiting players likely to leave after one season out of some moral concern, but because those players don’t want to play for Wisconsin. Anything Bo Ryan says about the virtue of seniors is marketing, an attempt to make his inability to recruit freshman phenoms sound like a positive. No college basketball team is more virtuous than another. If McCaskill truly is sad about “the one & done thing,” instead of blaming Duke’s players she should recognize that “the one & done thing” is the product of NCAA and NBA collusion. NBA rules prevent talented high schoolers from declaring for the draft, and the NCAA not paying players assures that the most talented ones leave for the NBA the first chance they get.